Idle Tree, by Jelnir, and Jelly Lift, by JellyGames. Idle games are a strange phenomenon. It's literally a genre built around doing nothing but clicking. You click to get the game to click for you. Then you purchase upgrades. Why do I play them? I have no idea, but I do, and I love it. Lately, Kongregate has mysteriously been featuring several idle games, so I thought I'd highlight two of them in ryview face-off! 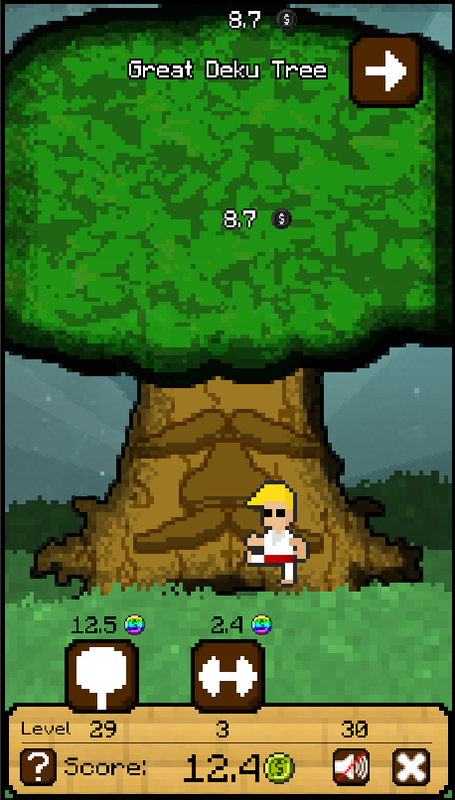 Idle Tree is based around lovable characters (including Bender, a Minion, a unicorn, and the Grim Reaper) punching a tree. 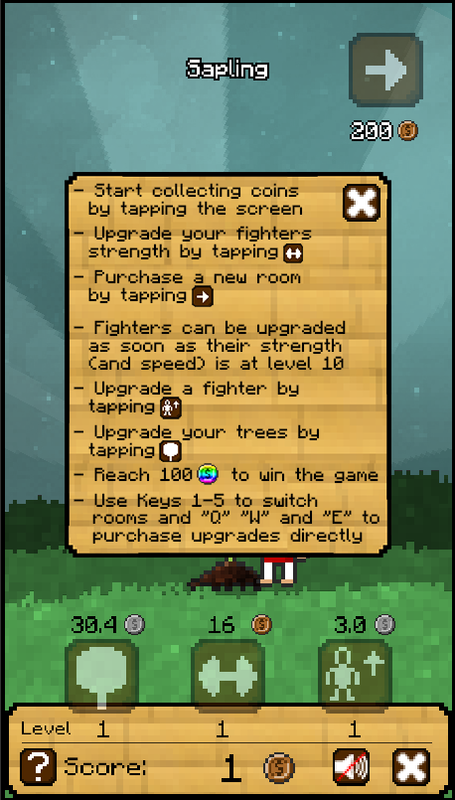 You upgrade the tree and the punchers as you go along, slowly ramping up the money you get from each punch. You show that tree, Johnny Bravo! I like the system it lays out because you're able to have 4 trees, each with their own set of punchers. You can level them up separately or try to keep them all at the same level. This presents a small amount of strategy, although I never crunched the numbers to see what the most efficient upgrading method was. This idle game is definitely improved by the inclusion of popular culture characters, especially because watching some of the punchers do their punching thing was very satisfying. However, past that, this idle game wasn't anything special. The upgrades had little to no variation, you had speed and strength. The best part of the upgrades was the character and tree update, and that was awesome, but otherwise not great. I would've like a more diverse array of upgrades, maybe being able to upgrade different portions of the characters, or use upgrades to open more tree areas. As it was, while it was still a pretty solid idle game, I didn't really feel like it had much to set it apart. Jelly Lift had a different tactic. It steered clear of the recognizable character plan and had the currency and animations focus on jelly beans. 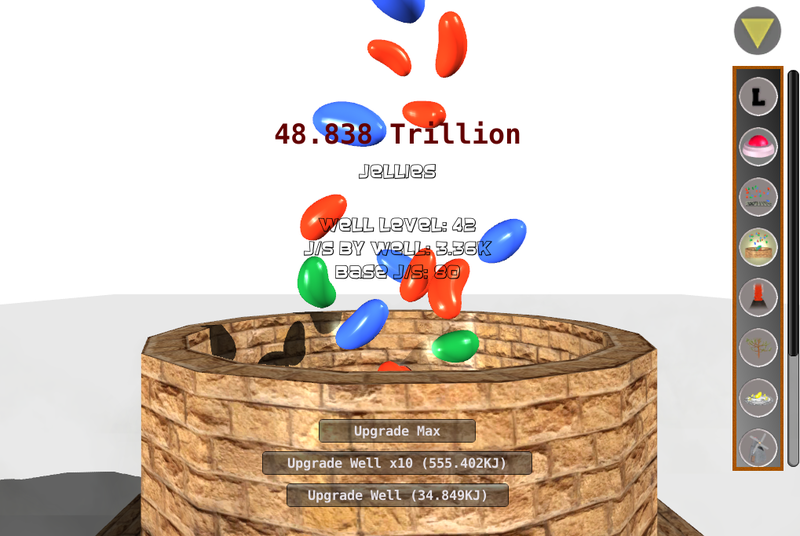 There's an elevator where you unlock new floors through jelly bean purchases, with each floor doing a different task for you. Some involved human clicking, but most of them were just various different self-running tasks the did not require or allow for any human intervention other than upgrades. I liked the you unlock more areas as you go through and I enjoyed the diversity of the areas. Also, there was a great feature that required you to click a button to increase the multiplier for all rooms. That was a tremendously good idea, and although I was a little irked that it would make me constantly click, it demanded that the human be involved in the idle game, which is definitely fairly unique. There was a steep curve towards the end of the game as far as prices were concerned, but it wasn't insurmountable and I certainly don't think it was worse than many other idle games out there. I do wish that I could do more in each room if I chose. There should have been some click functionality on each floor in some form, because as it was there was nothing holding me on that floor. The animations were kind of cool to watch, but the best idle games have minigames or something to keep you occupied if you'd like to, and self-sufficient if you don't want to. This just has self sufficient floors and clicking floors. There's no blending. So between the two, I don't really know which one I liked better in the end. Each one had things I liked and each one missed out on some golden opportunities. I think I felt more satisfied with Idle Tree because it had those recognizable characters and an "ending". But really, if you like idle gaming, both of these are worth checking out, and if you don't mind them sucking up CPU power, they're worth running in the background to collect coins/jellies all night. 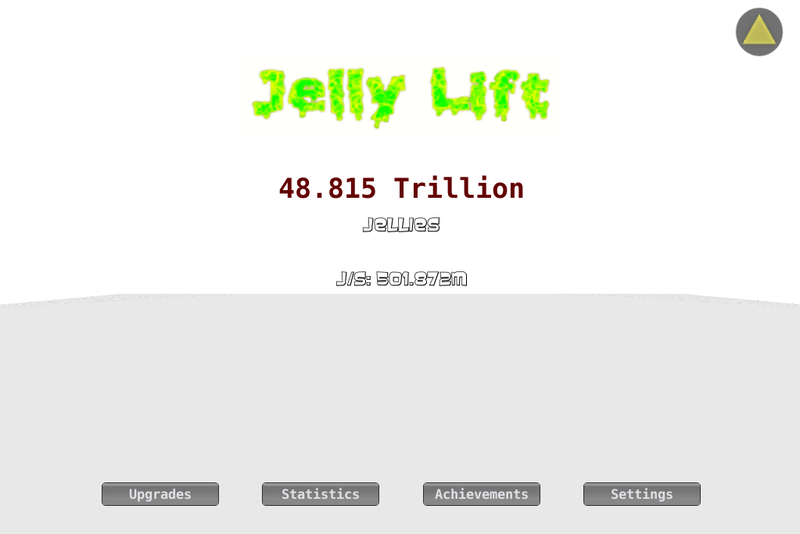 Let me know what you think of Idle Tree and Jelly Lift!